Zhao Zhenjia is a human rights defender who was sentenced to death in 1972 for articles he had written criticising the extremes of the Cultural Revolution in China. This sentence was commuted to life imprisonment in 1978 before he was exonerated and released in 1982, after twelve years in prison. 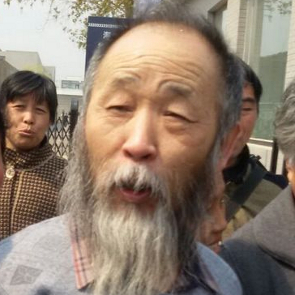 Since 2000 Zhao Zhenjia has been arrested and sent to 're-education through labour' camps on three occasions for a total of six years. The human rights defender was active in the peaceful campaign to free fellow human rights defender Mr Chen Guangcheng from house arrest between 2010 and 2012. Zhao Zhenjia was one of many human rights defenders who were beaten up by guards after attempting to visit Chen Guangcheng in his home town.